Turbos Lead the Way @ 2013 TIMETOATTACK Final Round + Results! | TIMETOATTACK! Home 2013 Turbos Lead the Way @ 2013 TIMETOATTACK Final Round + Results! Although turbocharged cars age generally associated with the term “turbo lag”, they are nevertheless fast machines and store tonnes of potential on the track. 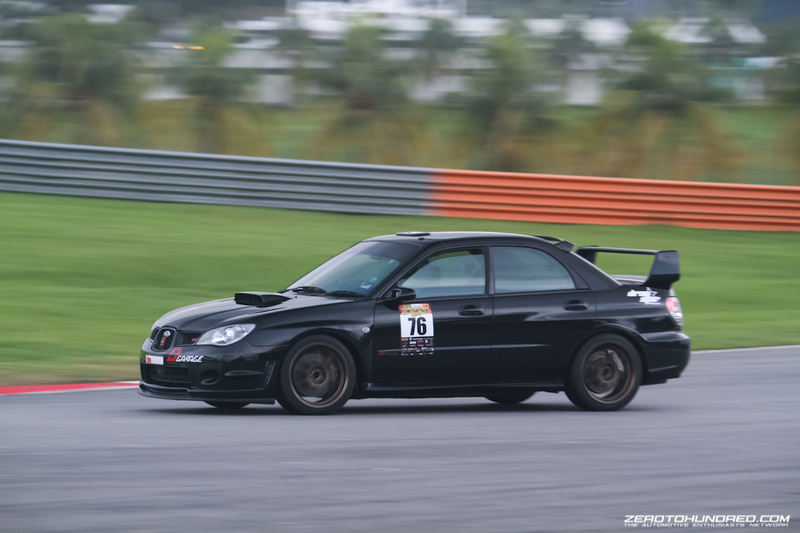 Providing the driver with a surge of boost, the turbocharged machines at the recent 2013 TIMETOATTACK Round 2 came down in a massive number to properly demonstrate what they are truly capable of. Mazda has been going on and off about their successor to the iconic RX-7. 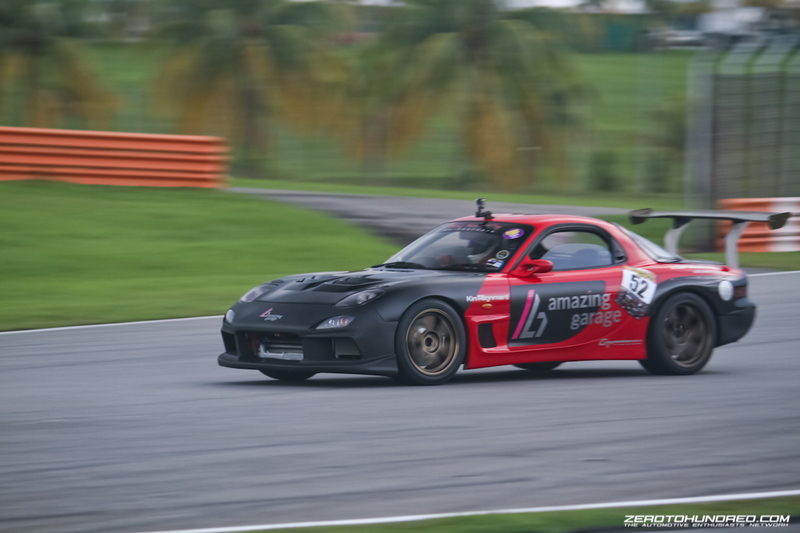 While there has yet to be a definite word on the next gen rotary machine being produced, the RX-7 that had made an appearance at TIMETOATTACK properly demonstrates that the rotary is still a force to be reckoned. 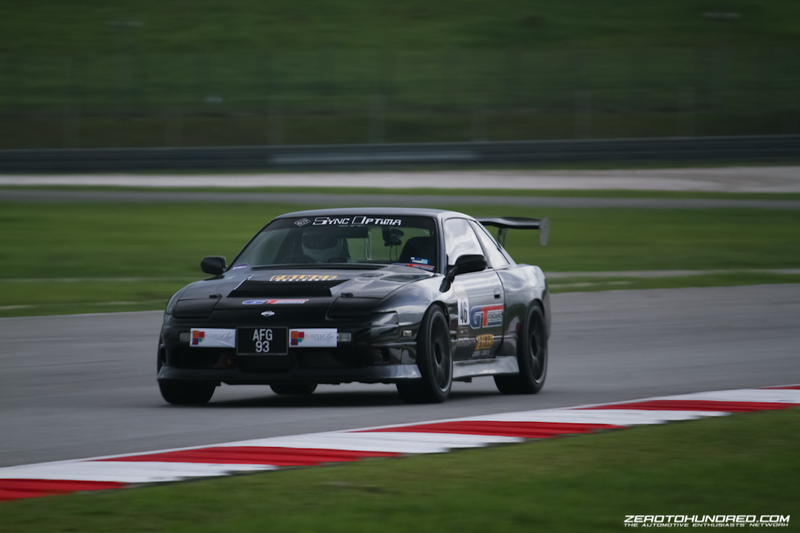 Most notably is the one driven by Kenny Lee as he managed to clock a 2:24.568 around Sepang, securing him a first place in the Super Street Turbo 2WD category. 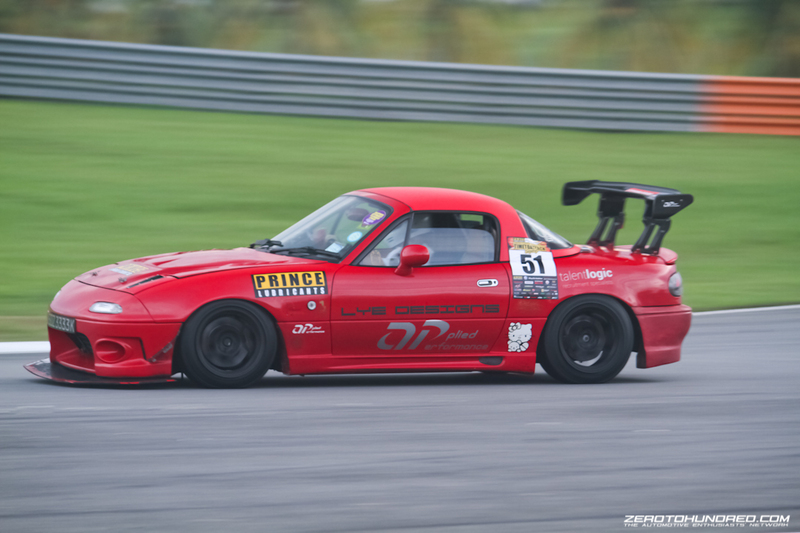 If you are one of the guys that look down on the Mazda MX5, then you’d better beware. 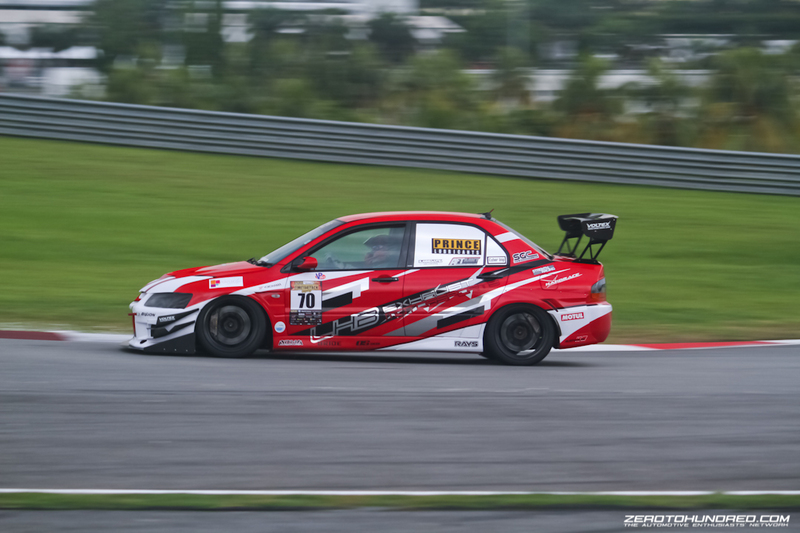 Yak Tze Yih came down with this cute car not only to have fun on the circuit, but is determined to grab a spot on the podium. And his impressive timing of 2:37.193 had allowed him to grab the third place. 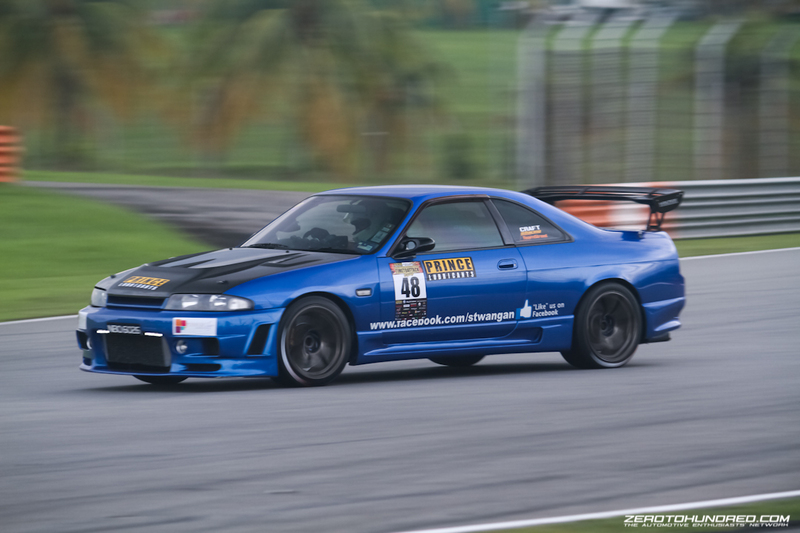 The second place was secured by the more aggressive Nissan Skyline R33 driven by Simon Hall with a 2:35.044. Don’t hear much of a supercharged Honda Civic FD2R? Well, we got one that had made an appearance last Saturday, and it seems that the combination of one of the best NA cars with a supercharger is not too bad after all. The #40 FD2R driven by Jerry Wong gave him a great advantage ahead of his rivals, allowing him to secure the top spot in the Street Turbo 2WD with a 2:39.404. 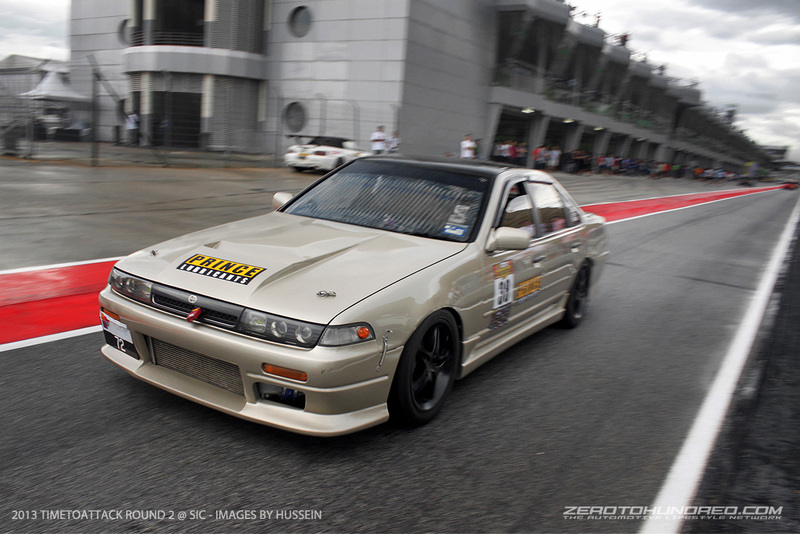 Coming in second was Alif Mohamed in a Nissan Cefiro A31 with a 2:41.333, and third place falls to Ariff Johanis in a Nissan S13 with a timing of 2:50.014. Mentioning this much about turbo cars without including the infamous all-wheelers seems a bit odd. But do not worry as at TIMETOATTACK, all-wheelers like Mitsubishi Evos and Subarus are a must-show. 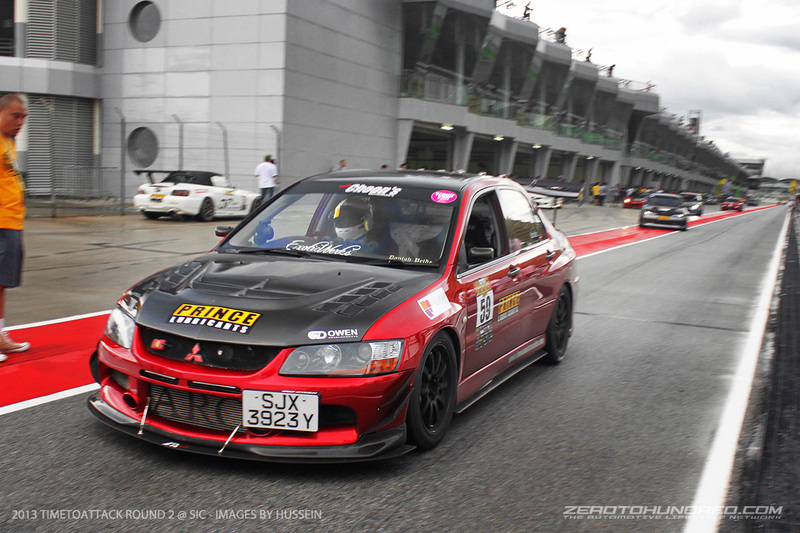 Much like the RX-7, the Evo IV was born back in the 90’s but is still a potent weapon on the circuit. Desmond Tan understood the potential of the fourth-gen Evolution and battled it against the younger, more powerful opponents. 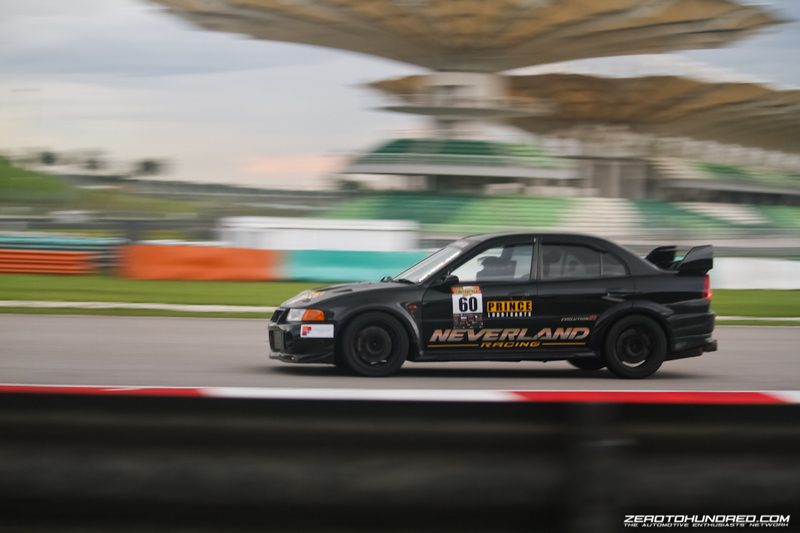 His timing of 2:37.559 puts him third in the Street Turbo 4WD category, just a stone throw’s away from Eldred Goh’s 2:36.982 in the Evo IX. The first place however fell into the hands of someone who is famed in going sideways. 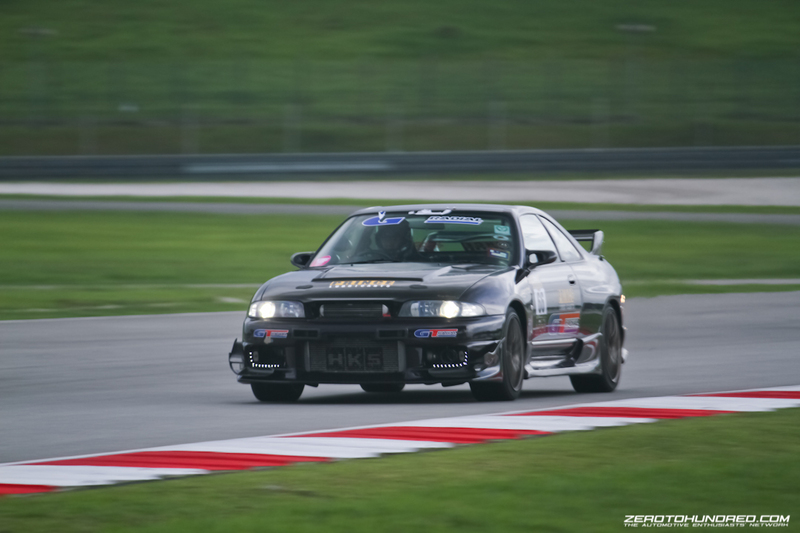 Braving his Skyline R33 GT-R through the heavy rain and the darkness of Sepang Circuit at night, Ee Yoong Cherng emerged as the victor in the Street Turbo 4WD with his timing of 2:34.534. 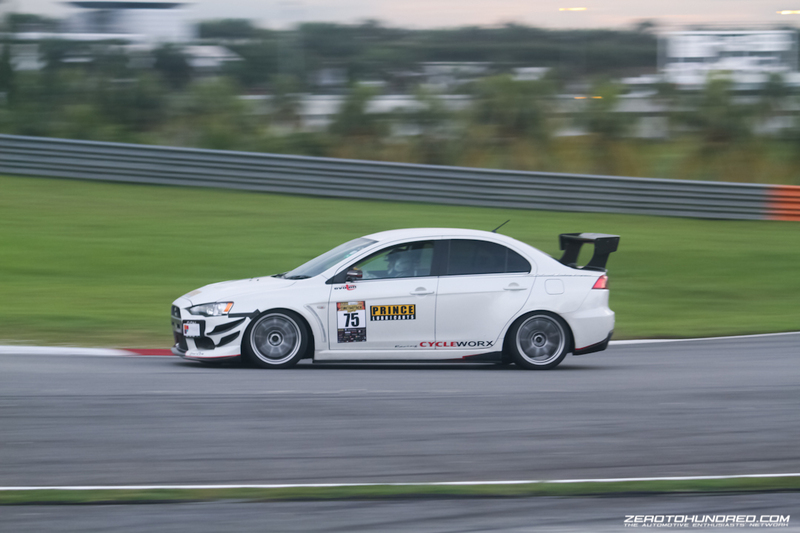 Over in the Super Street category, Mohd Yusoff grabbed the third place in his Evo X with a timing of 2:29.489, followed very closely by Patrick Chan’s 2:29.408 in the Subaru WRX. 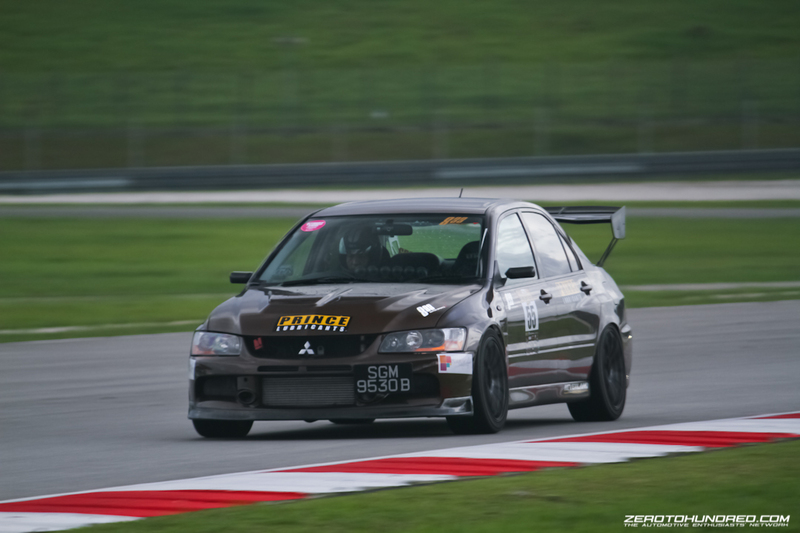 Aloysius Lek stands proudly on top as his timing of 2:26.985 in the wild Evo IX allows him to grab the win in the Super Street Turbo 4WD. Previous articleThe Naturally-Aspiraters @ 2013 TIMETOATTACK Final Round + Results! Next articleThe Time Attack Machines and GT-Rs @ 2013 TIMETOATTACK Final Round + Results!